Presidential transitions offer the chance for new ideas, policies, and people to inhabit the White House. Transitions have triggered policy change for decades and eager interest groups have sought ways to capitalize on this often chaotic phase of US politics. President-Elect Barack Obama declared that lobbyists would be forbidden from serving his transition and issued stiff regulations and rules to limit their access to the planning for his White House. 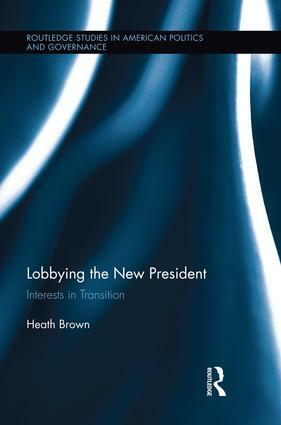 Yet even though Obama’s efforts mirror previous Presidents anti-lobbyist efforts, all Presidential transitions provide certain channels of influence, and Obama himself chose the head of a powerful and politically oriented think tank, the Center for American Progress, to run his transition. New Presidents need the information, ideas, and political capital that groups possess. Thus a curious paradox. Was the role played by Heritage in 1980 and CAP in 2008 indicative of a pattern of influence during the transition phase? Or have Presidents effectively shielded themselves from outside influence at the earliest point of their time in office? What can we learn about the larger study of interest groups and the Presidency from a focus on the transition phase? This book is a valuable resource that goes beyond the field of presidency studies which American politics scholars as well as public policy specialists should not go without. Heath Brown is an Assistant Professor in the Department of Political Science and Public Affairs at Seton Hall University.